Marcia Mogelonsky is the Director of Insight, Mintel Food & Drink, at Mintel. Her expertise focuses on a number of areas in confectionery and snacks. At this year’s ProSweets Cologne, which runs parallel to the globally renowned ISM, Marcia Mogelonsky, Director of Insight at Mintel Food & Drink will participate in a panel discussion on the power of plants in snacks and confectionery. Unusual ingredients in a novel bite: From Finland, these bites contain dark chocolate with tiger nuts and cocoa nibs, and are sweetened with coconut blossom sugar. Bites and thins point to "a small amount" without the rigidity of calorie counts. Launches of chocolate products described as "bites" grew 50% over the past five years; thins were not far behind, growing 48% over the same period. The move to smaller, bite-sized pieces ties in with the behaviour of 41% of UK chocolate eaters, who choose formats of chocolate that help them limit their intake. This soft-textured confectionery from Norway is free from artificial colors and is suitable for vegetarians and vegans. In 2017, 11% of confectionery launches were vegetarian, compared to 9% in 2016. As Mintel's 2018 Global Food & Drink Trend Full Disclosure notes, consumers are looking for transparency in food ingredients. In sugar confectionery, one such ingredient is gelatin, which provides the "chew" in chewy-textured candy. Most gelatin is derived from animal collagen, but vegans, vegetarians and kosher and halal consumers seek non-meat gelatin-based confectionery. 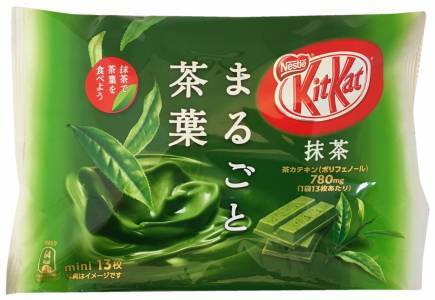 Nestlé Kit Kat Mini Whole Matcha Chocolate is now available. The UTZ-certified product features green tea leaves to achieve the largest catechin content as a source of polyphenols, and Uji matcha for a deep, sharp and bitter flavor. Green-tea flavoured confectionery has been popular in Asia for a number of years; it is also starting to be more commonly seen in Europe. 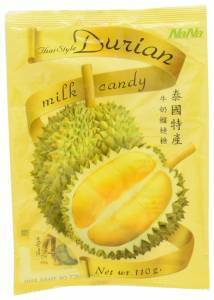 The controversial Durian has seen a marked increase in popularity in China’s fruit market, with many Chinese consumers warming to the unique taste of this so-called ‘king of fruits’. 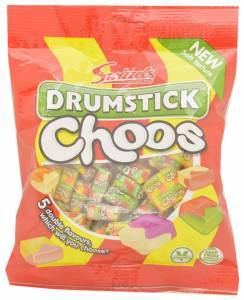 With this growing popularity, the fruit is increasingly appearing in sweet foods including confectionery. 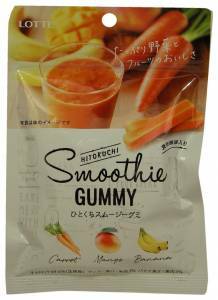 These carrot gummies from Japan represent the way in which vegetables are being integrated into sweet categories, including sugar confectionery as a flavor, not just a natural coloring agent. 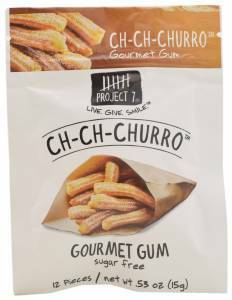 Project 7 Ch-Ch-Churro Sugar-Free Gourmet Gum. The range of flavors in dessert-flavored gum continues to grow, as evidenced by this US product. Other dessert flavors include cookies, sorbet, and S'mores. 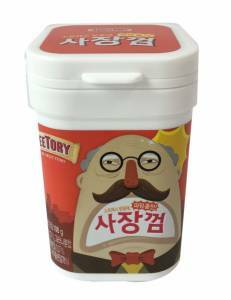 Sweetory Boss Gum (S. Korea) contains guarana and taurine for energy. Manufacturers are trying to attract more consumers to functional gum by introducing products that meet a range of needs, from energy boosting to relaxation. There is a desire for such products: in the UK, for example, 28% of consumers would be interested in trying a chewing gum with ingredients such as chamomile that help them fall asleep. Marcia Mogelonsky, Director of Insight, Food and Drink, has been with Mintel since 2000. Her expertise is centered on a number of areas in confectionery and snacks. Before joining Mintel, Marcia headed her own consulting company which focused on consumer behavior and product innovation in a wide range of industries.